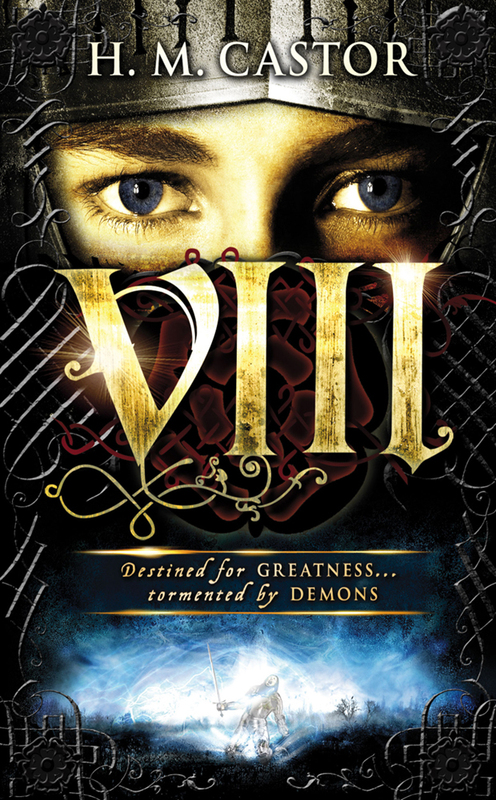 Today I am very very excited to be hosting the book tour story for VIII by Harriet Castor as it has to be the best Historical fiction novel I have read this year so far. When I’m asked how long it took me to do the research for my new book VIII, a YA novel told through the eyes of Henry VIII, my answer is ‘more than thirty years’. I’m not being facetious (and neither am I a gazillion years old – although my youngest daughter is convinced that I grew up in the Olden Days, probably with dinosaurs), it’s just that Tudor history grabbed me when I was at primary school, and has never let go. It used to be the dresses and the executions that fascinated me most – a slightly queasy combination. My gran had Antonia Fraser’s satisfyingly chunky biography of Mary Queen of Scots on the shelf by her armchair, and I could never stop myself from pulling it out and turning to the final pages, to read about the dramatic red petticoats revealed on the scaffold, and the little dog that hid in Mary’s skirts right to the end… and then wishing at bedtime that I hadn’t. And yet, when the idea for VIII began to form in my mind, one October evening a couple of years ago, I was overcome with fear. Despite thirty years of interest – of reading and visiting and looking – I was convinced that I did not know enough. How could I possibly know enough to write a story set in the 16th century, let alone to write in the voice of Henry VIII? What was I – mad? All those years of reading and studying had taught me, as much as anything, how endless the journey was. The more you find out, the more you realise how much you don’t know. But here I was with a story idea that felt so insistent, so desperate-to-be-written that it was hardly letting me sleep. I could see that I had a choice: gather my courage and dive in, or risk becoming a modern-day Mr Casaubon (the character in George Eliot’s Middlemarch who does so much research, he dies before he can finish writing his book). So I dived. And I carried on researching as I went. Henry rides through London? So, search for a contemporary map that’ll tell you what he passed on his way. Anne Boleyn looks through Henry’s belongings in a private room? Get hold of a copy of the ‘Inventory of Henry VIII’ (and what a lose-yourself-for-hours fascinating book that is!). Needless to say I also had a pile of academic biographies permanently to hand, plus books on Henry’s army campaigns, archaeological investigations of his palaces, books on court manners, on education and on 16th century prophecies. I had British History Online’s excellent archive of documents bookmarked on my computer (http://www.british-history.ac.uk), and I was lucky in my friends, too. By chance, my next-door neighbours are not only archers, but experts on the history of archery. And one of my sisters is the historian and broadcaster Helen Castor – and a mine of information and expert opinion for me. I consulted psychoanalysts and costume experts, read detailed manuals on 16th century fighting, and even joined a martial arts class myself to get a bit of hands-on experience (eek!). Above all, I loved it. I didn’t lose the fear – I’m sure it was useful, in fact, to keep that (terrified) respect for the task in hand – but I did begin to sense that what I was writing would work… that the book was taking shape, wearing all that research as lightly as possible and yet grounded in it too. The world of the book became a vivid mental reality for me, one that was hard to relinquish when I finished. I had lived there, after all, for so long! What I hope, above all, is that the world of VIII will be as vivid for the reader as it was for me – that the reader will experience it as I did. And now? I’ve got another world to create. Why do I look so happy? Oh, well, you see – I’m researching again… It’s Henry’s daughters this time: Mary and Elizabeth. And I’m loving it. Researching VIII must have been absolutely fascinating – I don't think I'd have known where to start (or stop)! This book sounds great. Of course, I'm a historical fiction nut. Will it be released in the US?